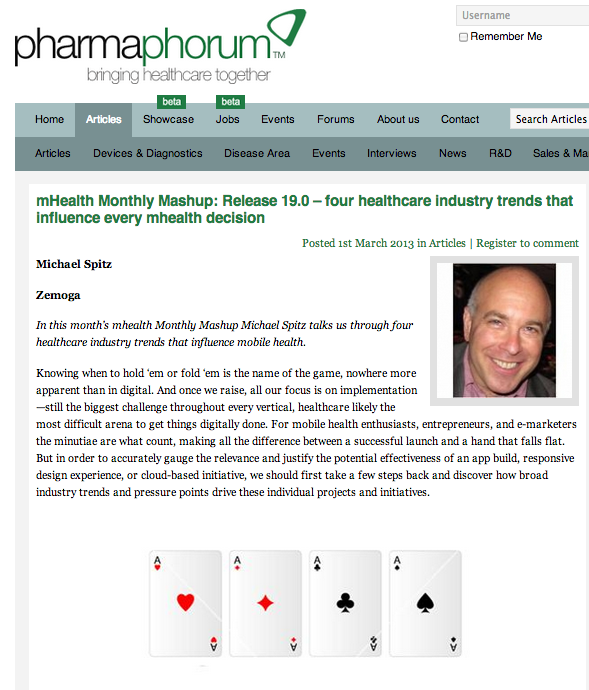 This month in @Pharmaphorum, @Spitz explains how trends in the pharmaceutical and medical device industries directly impact mobile health. Read how radical shifts in revenue, regulatory, positioning, and tech determine what’s being built and why, revealing robust opportunities for savvy mhealth partners in the space. Share your own thoughts and feedback below!